I was honoured to be awarded with FDIME bursary for the attendance of ESIM Winter School in Levi, Finland (21-25.01.2019). The ESIM Winter School has long been held in particularly high regard by several of my colleagues, and so I was delighted to have been chosen to attend. My first impression of Levi’s ESIM Winter School was that it was very well-organised, with everything in place to allow the participants to feel comfortable and in a home-away-from-home. The study programme was challenging, but we were also afforded plenty of opportunities to balance our work with social activities. This helped build a strong sense of team spirit during our stay. The quality of the course was excellent. The ESIM Winter School programme covered all of the Internal Medicine topics, as well as acute situations in Internal Medicine. In addition to essential theoretical teachings, we were also taught useful tips for our practice. The overall theme and supervision of the programme by course director MD, PhD, Dr. Kim Pettersson-Fernholm was felt in every lecture, workshop and clinico-pathology conference. My expectations coming into the ESIM Winter School were high, but engaging lectures, a productive atmosphere and a high-quality course programme made my week’s experience in Levi even better than I could have imagined. I was also thrilled to attend an Ultrasonography (USG) workshop. This enabled us to learn how to perform USG examinations, how to obtain informative images and how to ultimately interpret the data. I particularly enjoyed the enthusiasm of MD, PhD, Dr. Alexis Muller-Marbach regarding the future of USG. As a result of his encouragement, I will actively look to use USG more often in my practice. All of the lecturers actively encouraged me to seek the help of other doctors if I ever feel unsafe about my decisions. But, it was a memorable presentation by Dr. Amie Burbridge that helped to underscore this point. Dr. Burbridge recounted one of her own personal experiences of making a professional mistake and it was a powerful reminder of how it is possible to recover. Most of us were educated in such a way that in medicine you need to be perfect all the time. Of course, we are human beings as well as doctors and it is human to make errors. The lecture emphasised that we should make the most of those around us at the hospital, asking for the help of senior doctors and not being frightened if we do not immediately recognise the correct solution. Talking and getting feedback about any possible mistakes we might make helps us, and others, to learn from them. I especially enjoyed the concept of lectures when we were encouraged to work together in small teams. I had the opportunity to work with almost all of the participants on the course too, as we constantly changed our working groups. I thought this was an important process because each country and even every hospital uses slightly different strategies to examine and treat the patients. As a result, some participants shared their algorithms in acute situations so I can now bring these into my workplace too. I discovered there were a lot of differences among European countries when it comes to the examination of patients. Some diagnoses are more common in certain areas of Europe and are particularly uncommon in others. One good example of this is antibiotic use; antibiotic resistance and the spread of viruses and bacteria is common in certain countries. So, it often results in differential diagnoses and examinations that are markedly different across the continent. Being a Young Internist myself, I really enjoyed the workshop from Young Internists entitled: “Choosing Wisely.” It is crucial to reduce unnecessary tests and treatments for patients, especially when these same tests and treatments may be harmful. Many doctors in European countries are obliged to follow certain algorithms to exclude the diagnosis. This often occurs when there is a certain symptom or laboratory finding which makes it a total waste of money or time — and can sometimes delay other examinations. I enjoyed discussing this concept in teams, with our lecturer helpfully pointing out some of the most frequent uses of unnecessary tests and medications. I also appreciated the structure of the lectures because, rather than being too text-heavy, we were shown visual examples and simple information blocks to help us fully grasp the subject matter. It was particularly helpful each lecturer used clinical examples from their own practice to explain the medical condition, the natural way of the disease, the examinations and how to manage complex, polymorbid patients. Dr.I.Ruža made it clear to me during one presentation that it is also important to trust my own experiences and to be “me”, despite being tempted to act as other colleagues might in the same situation. A great help to the participants throughout the week was having some free time to socialise with each other during the day. A lot of this time was spent discussing/exploring about contrasts of medical education in Europe, about the way we learn in each country, and about the organisation of work in different hospitals around Europe. I spoke to my colleagues about how, in some countries, it is possible for a residency doctor to combine practical work with research work in the hospital. I also discovered the programme of Internal Medicine in Europe varies a lot too. I was encouraged by other colleagues to do carry out more examinations like ultrasonography, pleural fluid, ascites punctions, joint aspirations etc. It was fascinating to witness the quality of clinical cases presented by my other colleagues throughout the week. All of them did brilliantly to present well-structured and easy-to-follow case reports. This made it possible to learn about a very broad spectrum of diseases, as well as their diagnostic and treatment tactics. In summary, I leave Levi having benefited greatly from the lecturers as well my colleagues. I feel even more determined now to study more, to be curious, to have the courage to ask for advice and to never, ever give up. Participation in the EFIM Winter School, that took place in Levi, Finland in January 2019, is an important stage of my professional development. The organization of this School course was on the high level. There were not only general recommendations, but also an individual approach. As expected, the current problems of internal medicine were considered. Special attention was paid to the differential diagnosis of the most common disorders. The most interesting topics were related to antibiotic resistance, rheumatic emergences in internal medicine, endocrine masks and cardiomyopathies, acute and chronic heart failure. Involvement in ultrasound and ECG workshops allowed me to test my knowledge and improve practical skills with the help of Dr. Kokorin and Dr. Müller-Marbach. I would like to highlight the theme «Rheumatic emergences in internal medicine», that has the major significance for my professional field and is related to my scientific research. The speaker Dr. Shirley Rigby from the Warwick Hospital made the brilliant presentation on this topic. Of particular interest were the methods of the information presentation used by the lectures from European University hospitals. I have had valuable experience and developed essential knowledge enhancing my clinical practice, teaching technique and research methodology. I have certainly gained the right concepts and new perspectives of the use of novel effective approaches in the therapy of patients with internal diseases. For example, antiocoagulation’s choice in atrial fibrillation and such rare genetic disorder as porphyria, sanctified by Prof. V. Kokorin and Prof. and Prof. W. Meersseman accordingly. It was very interesting experience to work in groups on the seminar of Prof. Prof. Xavier Corbella «Adressing adverse events in clinical practice» and to prepare answers on different issues in the framework of the proposed clinical case. We were given practical handouts and illustrative materials. In addition I would like to mention the presentation of the doctor Mikko Parry, researchers from Helsinki University Hospital, concerning the problems of acute poisonings. I discovered many new facts about the toxic properties of commonly used drugs in daily clinical practice. I will pay attention on these points in my clinical work. I think, accordingly to the experience of European colleagues, the use of some more effective combinations of drugs in the therapy of patients with coexisting pathology could be widely used in our Department. In lecture of Prof. Xavier Corbella, the Head of Internal Medicine Department of Bellvitge University Hospital, Spain was highlighted the multidisciplinary approach to treatment of patients with heart failure. Successful treatment of various diseases needs cooperation of specialists in Internal Medicine and doctors of other specialties. It was valuable presentation made on this topic that caused the discussion and a lot of questions. I would also like to note the lectures of Dr. Ieva Ruza. There was presented a very interesting approach to identifying endocrine pathology. Communication and interaction with physicians is an integral and important part of the whole process of learning. It is not only discussion of diagnostical and therapeutical approaches, organization of medical care and results of investigation of scientific team, but also up-to-date sources of information and last data. We exchanged information in approaches on diseases treatment and diagnosis and effectively collaborated with colleagues from European countries. I would say that ESIM was the interactive platform that opens up the opportunities for further collaboration. For example, I met colleagues who had the same interest in the area of rheumatology. Moreover, involvement in clinical case presentation program gave us an opportunity not only to systematize our knowledge on guidelines for diagnosis and treatment of internal diseases while preparing presentation, but also to compare approaches with colleagues from other countries, to see strong and weak sides. There were greatly organized networking events as dinners, cross-country skiing school, husky safari, ice castle visit etc. The brilliant evening performance of Finnish piano music by the Dr. Kim Pettersson-Fernholm was very inspiring and uplifting. It was very pleasant to participate in the EFIM Winter School 2019 with the support of FDIME. It was exciting to see so many enthusiastic professionals, interested in their work in the area of internal diseases. Discussion with foreign colleges during School course was very productive and informative. Participating in School, I felt attention and support of every person. Supervisors were very interested to show us up-to-date approaches to diagnosis and treatment of internal diseases. They described it very clearly and easily. At the end of our study, the final test control revealed the knowledge improvement in glomerular disease, vitamin D deficiency and non-invasive ventilation. The program was very well structured: we had 15 lectures and 4 workshops from the early morning till the afternoon, then we have networking event or free time to go around the town in the evening. The organisers were always ready to help and answer any question regarding the accommodation and seminar timetable. My participation in the EFIM Winter School 2019 will be useful for performance of the Student Scientific Society of the NN Burdenko Voronezh Medical University. Therefore I plan to hold a conference for my colleagues (members of the department of the Internal Diseases of the affiliated clinic of the Voronezh Medical University), at which I shall familiarize them with the information gained in the School course, specific features of approaches in the area of Internal Dieseases. I am absolutely sure it will be useful and help them in carrying out research and practical work at our department. As a conclusion, I would like to express the definite benefit aspects of the EFIM Winter School: actuality of topics, clear presentations, and wise supervision. Finally, I would like to thank all organizers of EFIM Winter School 2019 for giving me the wonderful opportunity to attend in such prominent event. 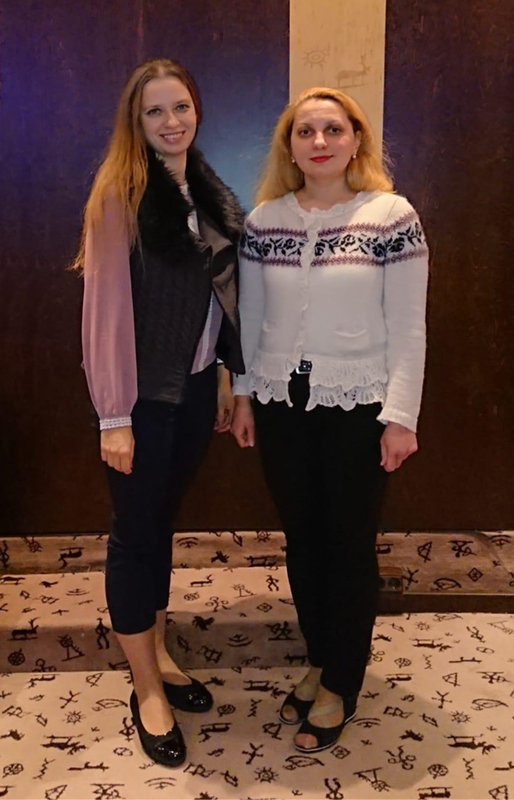 Furthermore, I am grateful to our Supervisors Dr. Kim Pettersson-Fernholm, Dr. Ieva Ruza, Dr. Shirley Rigby, Dr. V. Kokorin Dr. Müller-Marbach etс for their guidance and support during workshop/presentation/seminar. Special thanks to doctors from Finland Mikko Parry and Tuomas Aro for not only interesting lectures, but also their assistance during all period of Winter School.